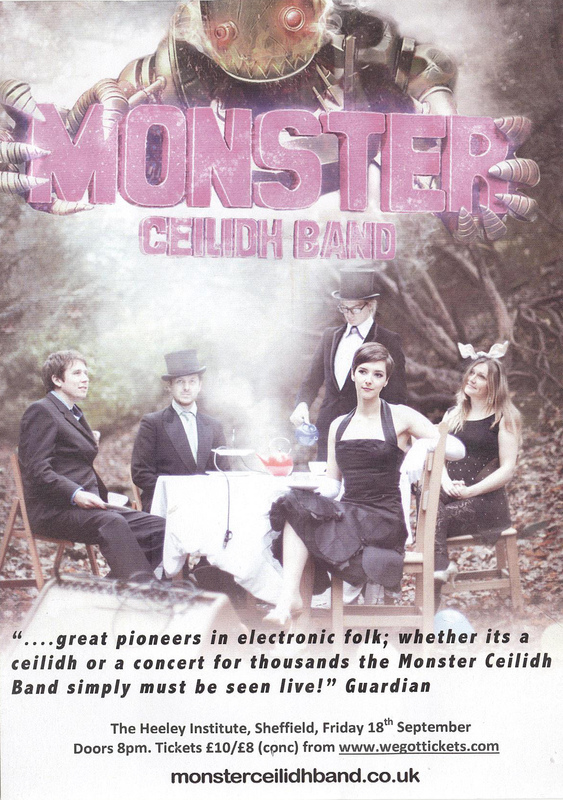 The Monster Ceilidh Band – 18th Sept @ Heeley Institute | IT'S HAPPENING IN HEELEY! The band will be playing material from their recently released album Charge!, creating fully electronic ceilidhs and combining traditional dance forms with contemporary electronic and drum and bass music, weaving together smelting riffs, massive chord progressions, intense electronics, folk tunes and a wide variety of styles. Proceeds from the fully stocked bar go to support The Big Boulder Music & Arts Festival 2016. Hi….do you mean 18th sept. (This Friday) Or do you mean Sunday(20th)?? Sorry – should say Friday 18th Sept (not Sunday!). Will correct it now, thank you!